The first case in the Netherlands of worker exploitation involving a Dutch company for alleged crimes committed outside the country could be nearing an end in the coming weeks, lawyers said, and if successful may open the door to more such cases. Barbara van Straaten, the lawyer representing a North Korean worker, said Dutch law criminalizes the act of profiting from exploitation. The name of the Dutch shipping company sued by the worker couldn’t be disclosed for safety reasons, she added. Under the country’s anti-trafficking law, offenders can be jailed for up to 18 years and face fines of €83,000 ($95,000). The plaintiff claims he was sent to Poland by the Pyongyang regime and forced to work 12-hour days for low wages in awful conditions. The lawyer did not say when this happened. Van Straaten’s Amsterdam-based law firm, Prakken d’Oliveira, said the North Korean worked for the Polish company Crist. Crist received financial assistance from the European Regional Development Fund, a loan of €37 million in 2009. The company first came under the spotlight in 2014, when a North Korean worker hired through a temporary Polish work agency called Armex died in an incident at the Crist shipyard. The welder died when his clothes caught fire and was burned alive. Polish labor standards officials concluded he had been wearing flammable clothing provided by Armex, but were unable to prosecute as the man’s documentation described him as self-employed and therefore outside Polish jurisdiction. “We are not confident the Polish authorities would take this case as seriously as the Dutch one,” van Straaten told DW. She said Polish labor authorities had failed in a previous case to prosecute a company where a North Korean worker had died in an accident at work, referring to the 2014 incident. In 2007, Polish businesswomen Cecylia Kowalska set up Armex in Gdansk supplying electrical and welding services to local shipping and construction industries, and told reporters in November that when asked if she could manage 10 North Korean welders, her company took on the job. She later began supplying North Korean welders to two other shipyards, run by Crist and Nauta, both companies that make war vessels for NATO members. A Polish labor inspection in February 2016 found 19 North Koreans working in a shipyard owned by Nauta, located next to the Crist shipyard. Poland’s online court register shows that Armex went into liquidation last year. Crist spokesman Tomasz Wrzask told DW he was not aware of the case or if Crist was involved. He told reporters in November that the shipyard previously worked with Armex, but ended collaboration in the summer of 2016. “Armex had all the necessary permissions to operate in the EU and Poland and was under the supervision of Poland’s National Labor Inspectorate. We had no reason for suspicion,” Wrzask said then, adding it was an “outrage” that Crist’s name had been made public while the Dutch shipbuilder was not identified. Van Straaten noted that North Korea was not party to the dispute which was directed at the Dutch shipbuilder. “This opens the possibility to hold those companies accountable which are not direct perpetrators in the labor exploitation, but which nonetheless knowingly profit from this exploitation, gaining high profits in the West at the expense of workers from developing countries,” she said. The law firm now hopes that the Dutch authorities have requested a European Investigation Order. An admission of guilt and a fine are among the outcomes the North Korean hopes for from this case, his lawyer said. Crist’s involvement with North Korean laborers as well as conditions faced by North Korean laborers in Poland and Europe were detailed in a report published by the Leiden Asia Centre by Remco Breuker and Imke van Gardingen. Law firm Prakken d’Oliveira cited the research conducted in the “Slaves to the System” report as central to the case. The researchers identified three North Korean firms as providing laborers that were assigned by two Polish companies, Alson and Armex, to pass on to firms that needed cheap labor. 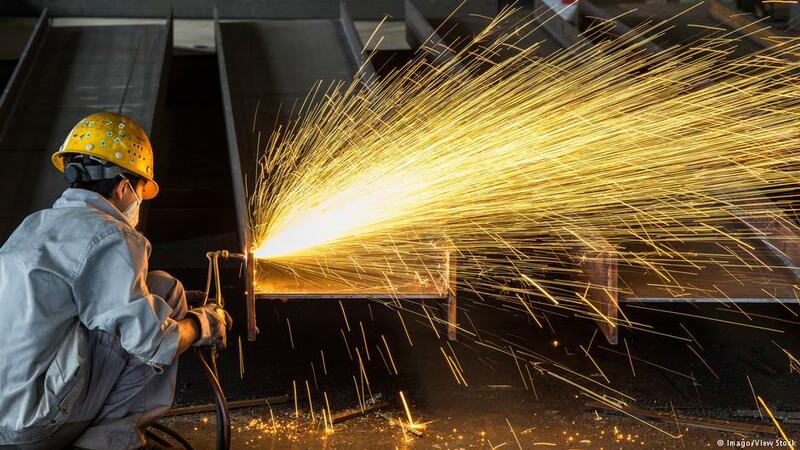 An earlier report by the Leiden Asia Centre found that as many as 800 forced laborers are in Poland working in the shipbuilding and construction sectors. The 2016 report titled “North Korean Forced Labor in the EU, the Polish Case,” showed that Armex had hired workers supplied by a North Korean company called Korea Rungrado Trading Corporation, which was run by a committee of the ruling Workers’ Party of Korea. The company was sanctioned by the US in 2016 and accused of funding the department that oversees the country’s nuclear weapons program. The Walk Free Foundation said that one in 10 people lived under such conditions in North Korea, the highest concentration in the world. Tens of thousands of workers worldwide send foreign currency back to Pyongyang, which is used to offset the economic impact of UN sanctions that were imposed over North Korea’s nuclear weapons program. 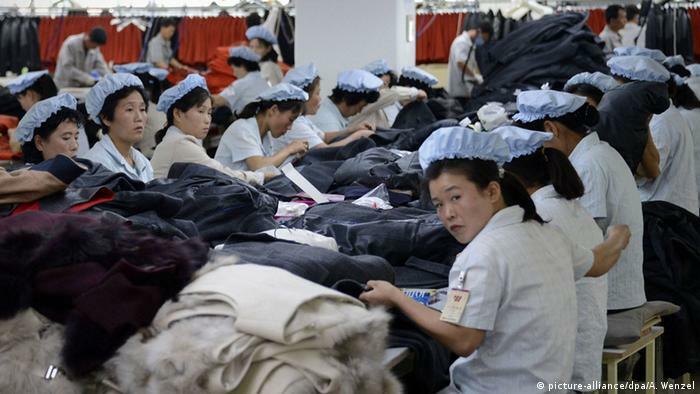 The UN estimates that North Korea earns as much as $2 billion a year from the workers it sends overseas. Many North Koreans work in Polish shipyards, construction sites and farms, sending up to 90 percent of their salaries back to Pyongyang, according to the European Alliance for Human Rights in North Korea (EAHRNK).